OK , Just had her lifted..3" Tuff Country....Not happy with the spacer lift on back...I'll see about changing that out tomorrow.. Sitting on 29" Wranglers...Doesn't look too bad...Good, because they only have about 6000 miles on em..
Rig looks to be in very good shape. What else do you have planned? 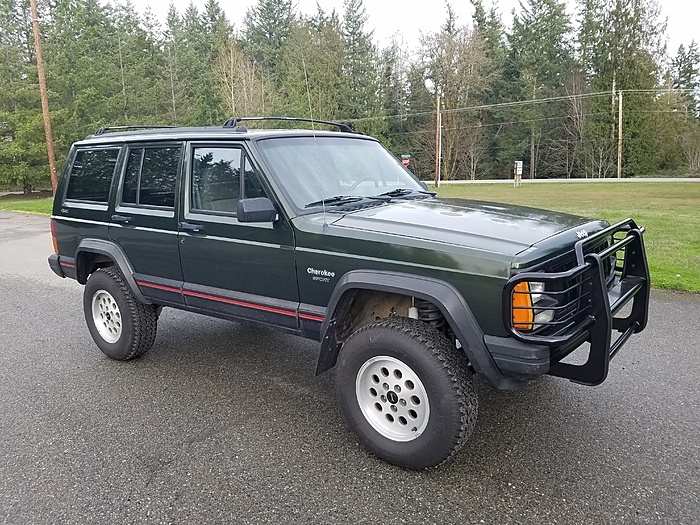 I just bought a 99, need to sell my wife's old DD 2004 WJ for my build money on the XJ. 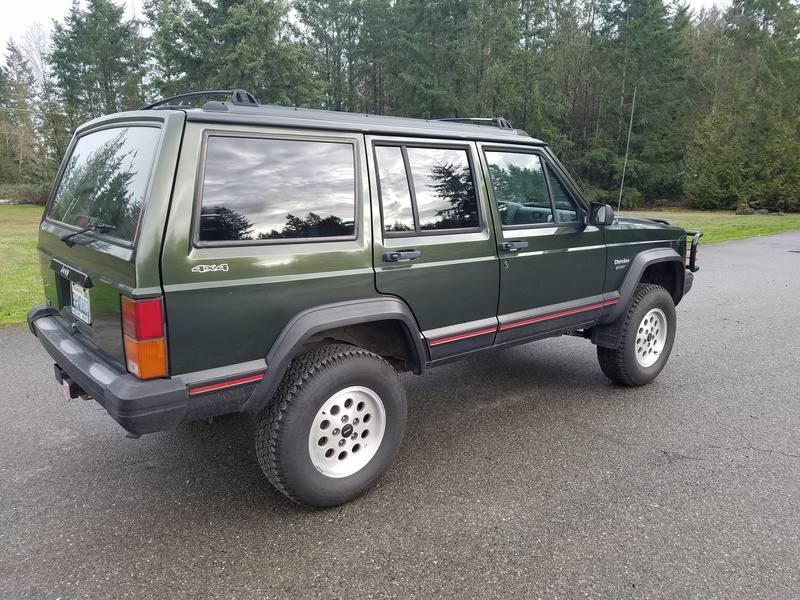 What do the "1", "2", "Set" keypad buttons on driver's door do? 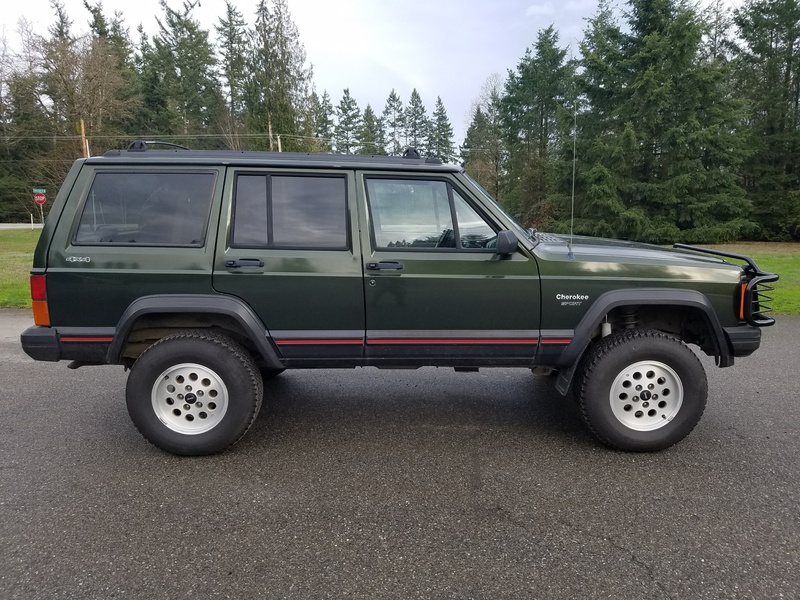 WTB 3.5" lift, 31" or 32" tires, 15" wheels.